[Handing out sweet corn. Photo: olathesweetcornfest.com] Each year Olathe holds a Sweet Corn Festival, which is a mix of musical entertainment, vendors, activities, and “Olathe Sweet” sweet corn. Be part of the crowd as they rejoice with the sweet corn harvest while jamming to great music. There is no better way to enjoy some summer days than in good company, good food and awesome concerts. 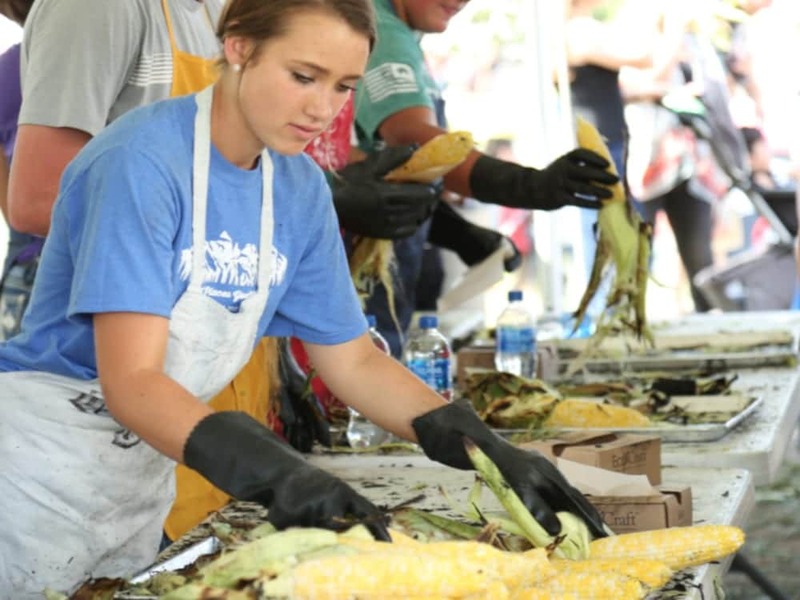 The annual Olathe Sweet Corn Festival will take place at the Olathe Town Park on August 3rd, 2019. Expect a full day of fun with lots of sweet corn to devour. A beer and wine garden will be present at the event as well as booths from different vendors. There will be various activities to do for the adults and kids plus a musical performance.